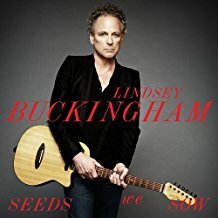 While there's more than one Fleetwood Mac, which originated as a hard rocking blues collective and totally trans-morphed into AOR stadium fillers, there's definitely only one Lindsey Buckingham. While probably responsible for that explosive evolution/mutation in the Mac, his talent as a solo artist hasn't met great success. His talent however, especially as a guitar slinger and finger picker, is in no doubt. This is a very good album indeed which he recorded and produced in his own studio. His version of Peter Green's "Oh Well" played by the Mac at Athletic Park in 1980 remains a musical highlight.